Welcome to Iowa Girl Eats! My name is Kristin and I’ve lived in Iowa and around the Midwest for nearly my entire life. While it may get a boring rap, Iowa is a wonderful place to live and raise a family. Fresh food is abundant which helps us to eat well, and the cost of living is low which allows us to travel far. After getting married to my husband Ben in 2008, I had a lot of time on my hands that was previously spent wedding planning. At the time Ben was also working nights so, what was a newlywed with nothing but time on her hands to do? Start a blog, of course! 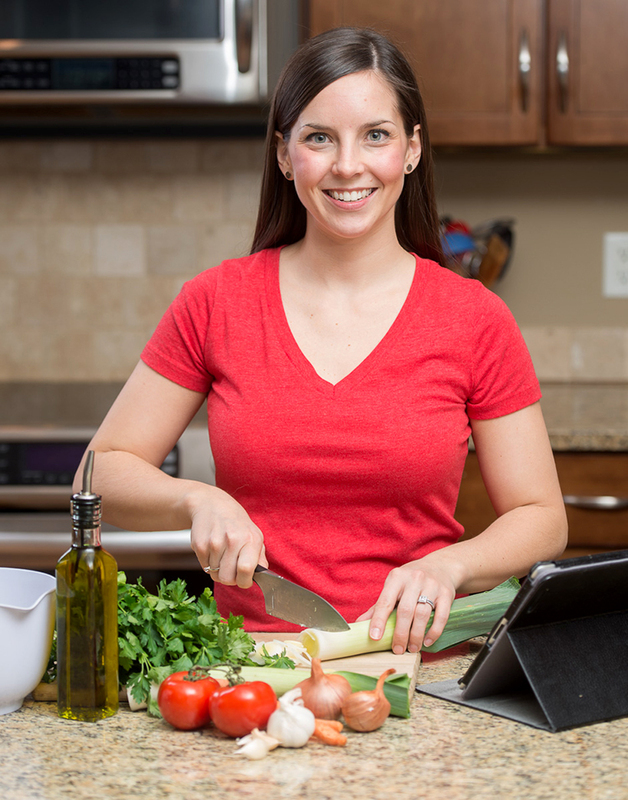 Iowa Girl Eats began as a food diary of sorts – a place where I shared my daily breakfast, lunch, and dinner plus workout ideas – but the blog really took off when I shifted my focus to sharing quick and healthy, family-friendly recipes. 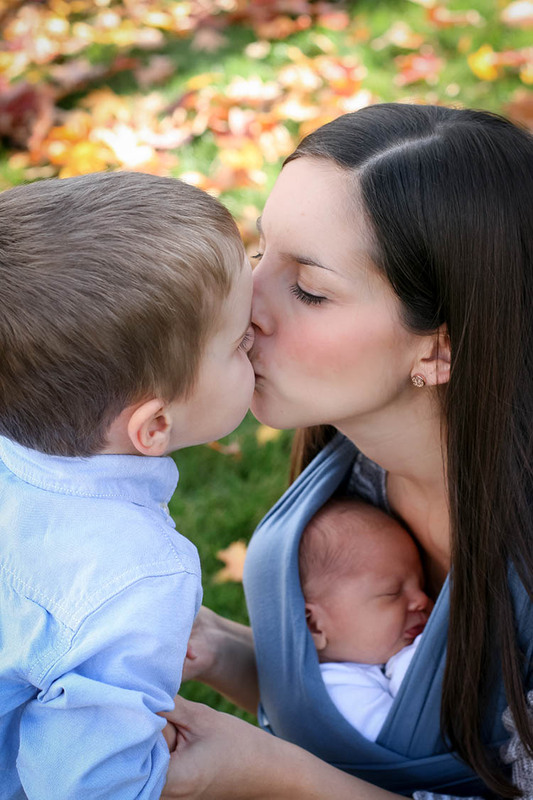 In 2013, Ben and I welcomed our son Lincoln into our lives, aka the sweetest little boy of all time! 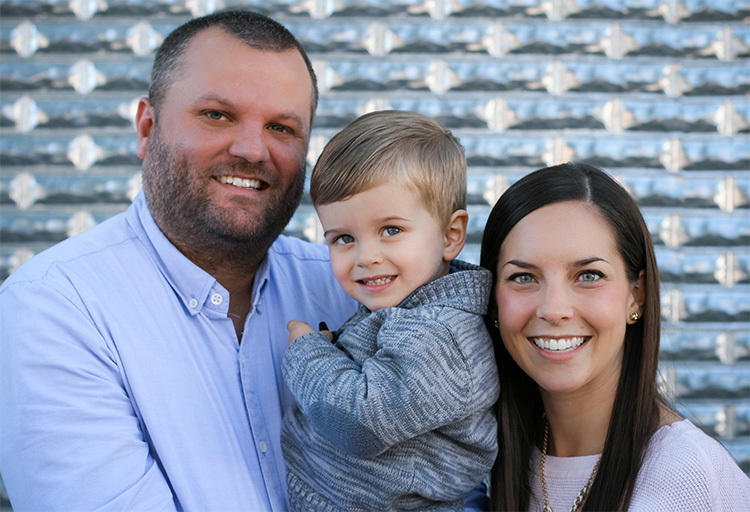 We were overjoyed with our new role as parents, but 6 months after Lincoln was born life threw a curveball and I was diagnosed with Celiac Disease. Celiac Disease is an autoimmune disorder in which the ingestion of gluten found in wheat, barley, and rye wreaks havoc on the small intestine leading to complications that could include malnutrition, infertility, and even cancer. Celiac Disease can lay dormant only to be “awakened” by a traumatic event to the body such as pregnancy or childbirth, which is what we suspect triggered my condition. After being diagnosed with Celiac Disease, IGE is a place where I share easy gluten-free recipes. Our world was rocked after my diagnosis and I had no idea what it would mean for many areas of my life, including Iowa Girl Eats, which had become my full time job and a passion I poured my heart and soul into. After a period of wallowing, I hit the books to learn everything I could about Celiac Disease and what it means to live and eat gluten-free. The bad news was I had to say goodbye to many of my favorite foods including traditional pizza, cake, cookies, and craft beer, but the good news was that we were already largely and unknowingly eating gluten-free before my diagnosis – except for Friday pizza and beers, of course! The transition to sharing gluten-free recipes on Iowa Girl Eats began in earnest in early 2014. Transitioning to a gluten-free way of life was not easy. In fact it was very, very difficult and I struggled for many months before getting a handle on how to eat gluten-free. 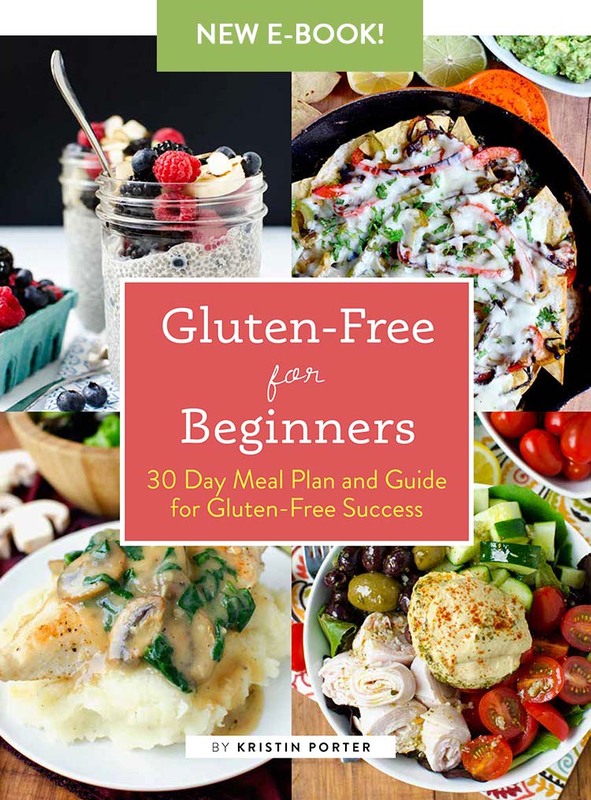 Eager and inspired to help others in a similar position, I published my first ebook, Gluten-Free for Beginners: 30 Day Meal Plan and Guide for Gluten-Free Success in September 2015 for those who are newly diagnosed with Celiac Disease or a gluten-sensitivity learn exactly how to go gluten-free while avoiding the stumbles and missteps I experienced. 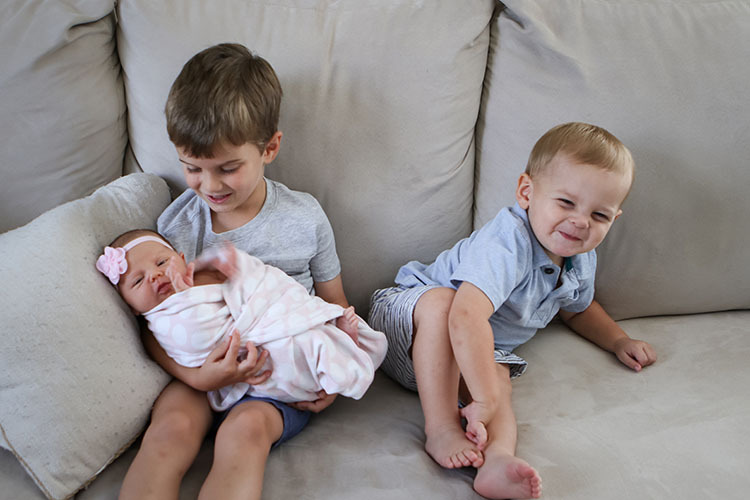 In October 2016, Ben and I welcomed our second son Cameron into the world, and in 2018 our daughter Gwendolyn was born! Although my Celiac Disease will never go away, I am so thankful to finally be healthy enough to wrangle these three crazy babes! Here on Iowa Girl Eats you’ll find stories and photos of family, pictures of our travels, and as always, easy to prepare, approachable, in-season gluten-free recipes using ingredients found right at the regular grocery store – no specialty store required. From soups to salads, skillet dinners and smoothies – if you’ve got a craving, I’ve got a recipe to satisfy it. Check out my Recipe Index to get started! I’m so glad you’ve found your way to Iowa Girl Eats. If you have any questions please don’t hesitate to get in touch. In the meantime, click around and stay awhile, and as always – happy eating! receive a free 7 day meal plan for subscribing!